Jeremiah Jones, the brains behind Hold Fast, rocking the new proto straps and a prototype BMW fork over the coping at our new skatepark. I usually am not a fan of fixed gears in parks, but this park is so wide open and the transitions fit 700c wheels perfectly, so it looks pretty smooth. 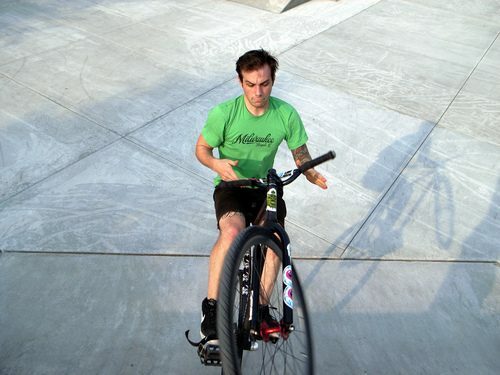 … and Chris making his trick face with a barspin on the quarter.